UPDATE: Michelle has been found. 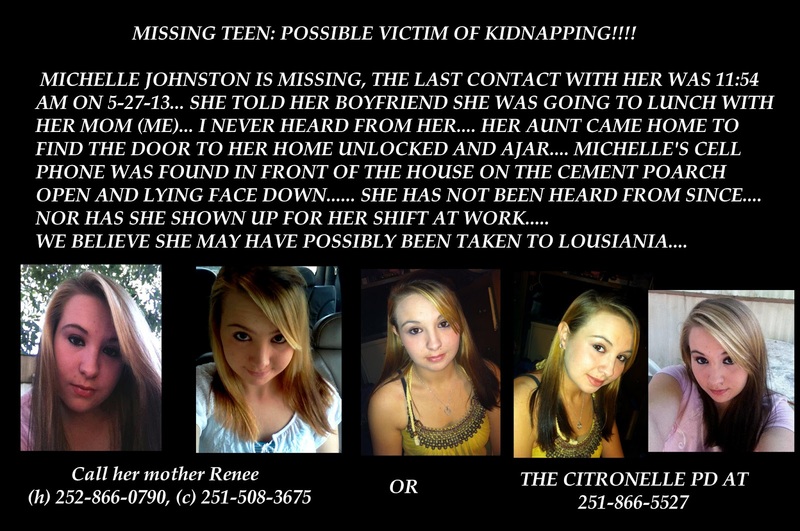 Michelle Johnston is missing from Citronelle, Alabama and has not been seen since May 27. Her phone was found laying open face down on the front porch and her front door was found unlocked and ajar. The family told MPofA that they fear she may be victim of a kidnapping. Her family says she may be with a man and they could be traveling in a full size white dodge extended cab duelly or 2012 black 2-door Honda Civic and they could be heading to Lafayette LA.